In earlier posts we shared that Tar spot, specifically caused by Phyllachora maydis, had been confirmed in Illinois. We are now trying to determine if the fungus will survive our winter months. 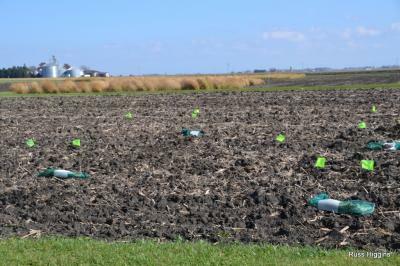 A trial was established in cooperation with Dr. Santiago Mideros, University of Illinois plant pathologist. Corn leaves exhibiting Tar spot symptoms were collected and placed in mesh bags. 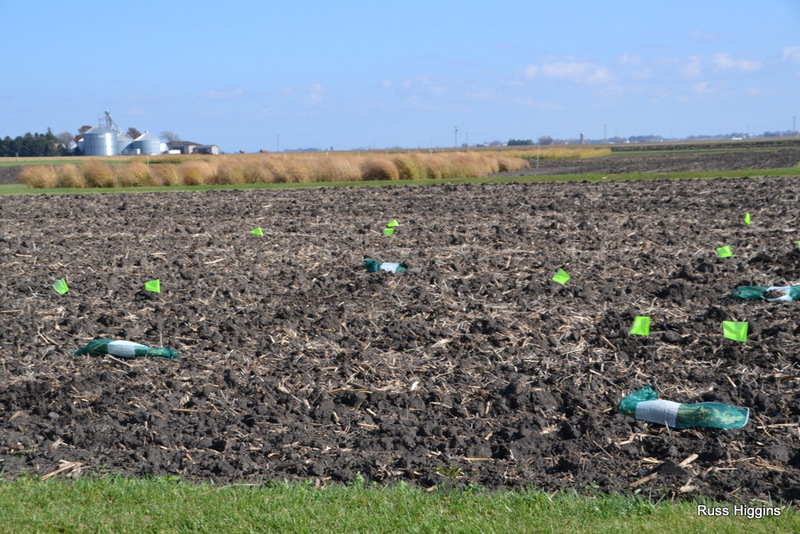 Samples will be left both on the soil surface and buried to emulate corn residue incorporated by tillage. Next spring the samples will be collected and the survivability of the pathogen determined.